Hand's down, my favorite item from the Occasions Catalog is the Brusho Crystal Colour! I have had so much fun playing with them this past month. 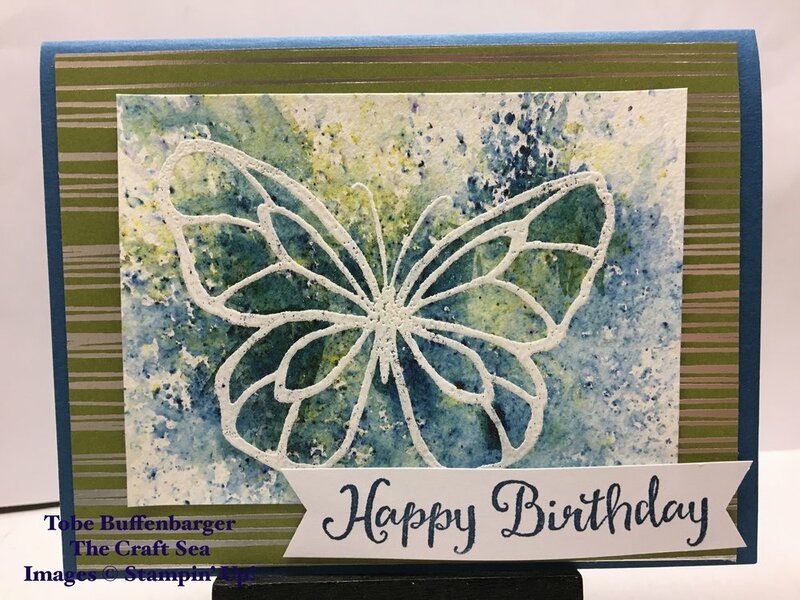 For today's card, I used Versamark and white embossing powder to create my butterfly image. I then layered on green and blue Brusho Crystals until I was happy with the coverage. From there, I layered on some paper. I liked the card, but something was missing a bit... Turns out I was missing sequins to really make this card pop!